Digital signage industry is continuing with the fast growth and solution providers as well as end customers all over the world are constantly looking for new elements and untapped market possibilities. Current focus of industry is mostly in indoor installations such as retail and financial institutions as market have a proven a concept. As a number of new digital signage markets are developing, it is possible to register increase in interest for outdoor installations. In past outdoor installations were based on big display LED technology, which has many advantages as well as minuses. Capability of functioning in rough outdoor environment without a problem is the main benefit. Who does not know images of London Trafalgar square, Las Vegas Strip or New York Times Square with huge LED displays effectively building brands of companies? As LED technology is great technology it is not useful at closer distances mainly because of two reasons, lower resolution and too high brightness which is not comfortable for passersby. If products do not guarantee displays coping with above mentioned, they are not outdoor displays, but mostly vaste of money and effort. At Infinitus ltd. we have heard for number of bad cases, where customers installed custom made outdoor display systems never being capable of delivering this basic outdoor display traits. There is vast number of possible applications that can vary from interactive info points (city, tourist, corporate, exhibition, events, sport venue entrance info points, etc.) on one side and large scale DOOH networks with most complex content combinations with advertising purpose on other. End customers looking to generate revenues from sales of DOOH advertising space, promotion of products and/or looking to share relevant information with target audiences should do their homework and try to find best fitting solution for their needs. As none of outdoor technologies is really proven (fulfilling full life time promise) it is hard at this point for end customers or solution providers to trust that this relatively expensive products will function as promised. 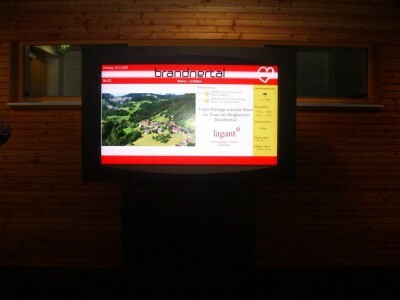 So what is or should be in the mind of customer searching for reliable outdoor display system!? It is essential to use elements that will be able to cope with the purpose of intended digital signage installation as well as with all the obstacles of outdoor environment and specific micro locations within the same environment. When thinking about micro location customers should know what the temperature range is, how humid is the environment, what is the direction of screens in conjunction to sun, are the locations offering any protection to displays (e.g. roofs), and not to forget, what is the risk of vandalism activities. Gathering this information should help the customer to decide about most fitting outdoor display products and decrease level of investment uncertainty. Generally speaking there is choice among 100% protected systems with IP 65 (water and dust particle proof) enclosures which are “full-outdoor” and on the other hand “semi-outdoor” systems which are based on heater/ventilation systems with enclosures not being hermetically closed but still presenting some level of protection from outdoor environment effects. Integrated air condition units enable IP 65 enclosure systems. These types of enclosures are intended to protect display systems against extreme temperatures, temperature fluctuations, heavy rain and dust particles. In addition to basic purpose air condition unit keeps ideal environment for all enclosed components prolonging their life-time and MTBF (mean time between failures) as no dust or humidity can enter to electronics department. Not to mention system temperature is optimized for display performance as display panels does perform at certain temperature level. Keep in mind that in certain cases it is not needed to have AC based units, but that is only in case if environment allows it. Extreme heat, large temperature fluctuation and high humidity are biggest worries for “semi-outdoor” display systems. 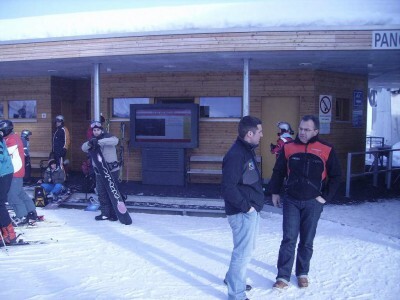 Infinitus is EU based company specialized in production of all weather outdoor HD LCD digital information display totems. We are global pioneers in the development of all weather outdoor enclosure technology for LCD. Our products can present digital communication platform in any extreme outdoor environment including Scandinavian winter, Middle East heat or Malaysian humidity. Our competitive advantages derive from 4 years of experience with developing outdoor systems, use of highest quality elements and our proprietary split system Heating Ventilating Air Conditioning System (HVAC), which is the hearth of all iMotion® products. This enables us to have temperature operational range between -40°C and +55°C, which is the widest temperature range on the market. Tento příspěvek napsal Dikran Tawitian, 26.1.2010 v 09:00 do rubriky News in English. Sledujte komentáře na tento článek pomocí RSS 2.0. Komentáře i oznamování momentálně jsou uzavřeny.